The prominence of the shoe, is undeniable when it comes to dress. Increasingly we demand to a greater extent, more staff and a comfortable, elegant footwear. Style and comfort are the key elements to this collection. Designing a shoe that is comfortable, yet elegant, and that are ideal for special occasions, of functional lines and practices, is what has gained Tolino with this collection. Classic and essential in the wardrobe of the man dynamic and current. For this model, the color is black. Basic, classic, sober and timeless, indisputable when it comes to dress. The outside of the shoe, is fur soft beef, semi-acolchada of great comfort. With lining and cotton fabric, for great breathability toecap. The template is anatomic and removable, to be able to use if you have physiological templates, this fully lined leather. It has as an ornament, a seam in the shovel of Bourdon returned. The toe is round, but this slightly elongated, to give a more elegant style. The floor is polyurethane, very comfortable and super lightweight, anti-impact in the heel area and non-slip area on the floor. 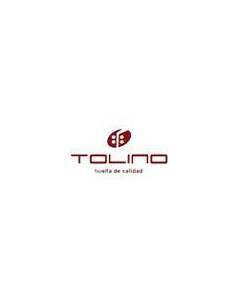 Designed and manufactured, handcrafted in Spain by Tolino brand. When the fit of a shoe is comfortable, elegant and versatile at the same time, is a good recipe for walking happily, that is why we are committed to this collection of lightweight and flexible construction. If you need a shoe for use with costume, for an event, a wedding, or to go to the office, but want to feel the sensation of being comfortable, as a sport, no doubt this is your shoe!